The Irish jockey recently passed 4000 winners. Tony McCoy has made the 10-person shortlist for Sports Personality of the Year. IRISH JOCKEY TONY McCOY has been shortlisted for the BBC’s Sports Personality of the Year award for 2013 but Andy Murray was installed as the overwhelming odds-on favourite to win the prize. This year saw the Scot end Britain’s 77-year wait for a men’s singles winner at Wimbledon when he defeated Novak Djokovic in straight sets in the final of what is now the lone grasscourt event of tennis’ four major championships. Leading British bookmaker William Hill installed Murray as the 1/50 favourite to win the award. “The Sports Personality Of The Year did not even exist the last time a British (male) player won Wimbledon so it is fitting that Andy Murray is such a hot favourite in what is the award’s 60th year,” said Hills spokesman Rupert Adams after the shortlist was announced. The other nominees for an award decided by a public vote were world champion athletes Mo Farah and Christine Ohuruogu, sailor Ben Ainslie, England cricketer Ian Bell, rugby union star Leigh Halfpenny and wheelchair athlete Hannah Cockroft. This year Rose gave the UK its first US Open champion since Tony Jacklin triumphed at Hazeltine back in 1970. Froome followed his team-mate Wiggins, unable to defend the title because of injury, in winning the Tour de France while McCoy, who won the BBC award in 2010, became the first jump jockey to ride 4,000 winners earlier this month. Ainslie, already a multiple Olympic champion, turned around the fortunes of Team USA in their come from behind victory in the America’s Cup, with the eventual champions winning the last eight races after he was brought in as their tactician. Farah repeated his double London Olympic triumph by winning both the 5,000 metres and 10,000m at this year’s World Championships as well as breaking Steve Cram’s 28-year-old British 1500m record in Monaco in July. Also in Moscow, Ohuruogu won her second 400m world title which, together with her Olympic gold from Beijing in 2008 and London bronze, make the Londoner Britain’s most successful female track and field athlete. Warwickshire batsman Bell was nominated after scoring three hundreds in England’s 3-0 Ashes series win over Australia earlier this year. Full-back Halfpenny was named man of the series after starring in the British and Lions 2-1 series win in Australia, having already won a similar award as Wales retained their Six Nations Championship title. Cockroft was included after retaining both her T34 100 metres and T34 200 metres titles at the IPC Athletics World Championships in the central French town of Lyon. A public vote during the December 15 awards ceremony in Leeds, northern England, will decide the winner. Email “Tony McCoy shortlisted for Sports Personality of the Year”. 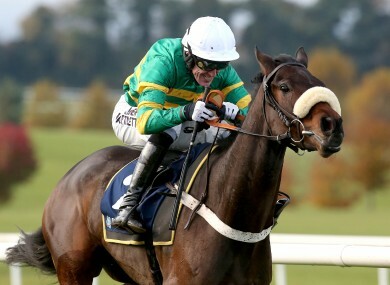 Feedback on “Tony McCoy shortlisted for Sports Personality of the Year”.